Koenraad Kuiper is Professor of Linguistics at the University of Canterbury, Christchurch, New Zealand. He is the Managing Editor of the Yearbook of Phraseology and the author of a number of books including, most recently, Formulaic Genres (Palgrave Macmillan, 2009). At some point in our past, human beings evolved the incredibly complex natural language systems which we all take for granted but without which we would not be able to communicate in the ways we do with each other, have civilizations, be able to contemplate the future and to change it. In the last hundred years we have begun to understand how these communication systems work. We know much about how we make speech sounds, organise them into words, the words into sentences and how the words and sentences we produce mean what they do. The subject within whose confines these discoveries have been made is linguistics. The knowledge we now have is passed on by teachers of linguistics many of whom are gifted and committed. Yet we know little about how they see their commitments to their subject. This book is the first to give teachers of linguistics the chance to reflect on their professional practice as teachers and thus to share their enthusiasms, their strategies and their personal approaches to their subject. At some point in our past, human beings evolved the incredibly complex natural language systems which we all take for granted but without which we would not be able to communicate in the ways we do with each other, have civilizations, be able to contemplate the future and to change it. In the last hundred years we have begun to understand how these communication systems work. We know much about how we make speech sounds, organise them into words, the words into sentences and how the words and sentences we produce mean what they do. The subject within whose confines these discoveries have been made is linguistics. The knowledge we now have is passed on by teachers of linguistics many of whom are gifted and committed. Yet we know little about how they see their commitments to their subject. This book is the first to give teachers of linguistics the chance to reflect on their professional practice as teachers and thus to share their enthusiasms, their strategies and their personal approaches to their subject. In this chapter, the author introduces the topics to be discussed in this book: a space to share experiences on teaching Linguistics. Each chapter will present a different point of view, based on each writer’s abilities and background while teaching the subject. In this chapter, Jen Hay discusses her experience in the classroom while teaching Phonetics. The author gathers some “fun but useful” techniques which can be used during class in order to catch students’ attention and enhance their learning. In this chapter, the author concentrates on exploring the possibilities that the use of scientific method can bring to teach Linguistics. To do so, Carstairs-McCarthy uses morphophonological issues as examples to illustrate his objectives. In the following chapter, the author discusses the difficulties of teaching morphology to beginner and advanced students. To facilitate teaching complex topics to students, Bauer describes a way to develop possibilities that can increase students’ understanding of morphological topics. In this chapter, Sandra Chung defends the idea that syntax is a great subject to introduce undergraduates to Linguistics. It is a challenging and interesting topic to most students. Therefore, the author shares the techniques used in class to approach such topic with a mixture of structured problem sets and Socratic interaction in classroom. 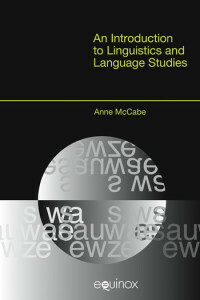 In this chapter, the author contributes with the experiences gathered during the years while teaching formal Linguistics to students. The main focus of this section is to describe how teaching semantics can be impactant to beginners. 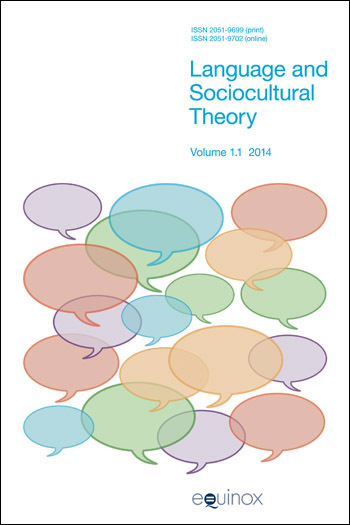 In this chapter, the author describes how his way of seeing and teaching Pragmatics became different after the process of working in the project ‘Controlling the Discourse’ along with Lyn Frazier. The following section reflects on these changes and present these personal and pedagogical discoveries. In the present chapter, Koch examines his years teaching Historical Linguistics and shares some techniques that had been successful in classroom. In this chapter, the author focuses on outlining in some detail the structure and goals and aims of a ﬁve-week, intensive unit that introduces second-year undergraduates to the practicalities of analysing language variation. The course was given by a colleague in the University of Edinburgh. In this chapter, the author reflects on the subjects approached during the course “Linguistic Approaches to Nonliteral Language” taught in 1998 at Carleton College. 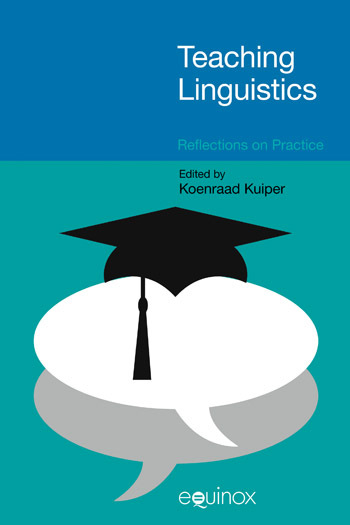 In this chapter, the author acknowledges the difficulties to teach Linguistics to people with different backgrounds and language aquisition profiles. The purpose of this chapter is to make the case for classroom teachers of ESL/EFL to study linguistics. The main argument is to provide two examples of how a knowledge of linguistics should inform and can beneﬁt the classroom teacher. I will also discuss what happens when teachers have not studied linguistics. The arguments put forward below and the examples used, grow out of 45 years of classroom ESL/EFL teaching. The author describes in this chapter four games developed as seminar activities for her ﬁnal year undergraduate module ‘The Evolution of Human Communication and Language’. This module examined the social, psychological and physiological prerequisites for language in our species and the processes by which language might have arisen, including the order of appearance of the different components of language, the potential role of gesture, the immediate catalysts for its emergence, and the relative plausibility of monogenesis versus polygenesis. It also explored what would have happened to the ﬁrst fully human language (if there were such a thing) after it became established, thus covering some aspects of language change. In this chapter, Kuiper discusses what topics should be included in a LING101 course, an introductory view of Linguistics. This chapter questions what can be done to counter such subversive forces. What are the crucial components of good postgraduate supervision? And how can professors ensure they are incorporated into the experience of linguistics and applied linguistics postgraduates. In addition to the author’s personal experience and reﬂections, this short chapter draws on three sources of information to address these questions: (1) general research on the quality of postgraduate supervision (e.g. Harper 2005; Neale 2000; Morrow 2000; Dinham and Scott 1999); (2) feedback collected from linguistics and applied linguistics students at Victoria University; (3) discussions with a wide range of academics and linguistics scholars about these issues over the last three decades. The discussion is presented in four main sections: it is first considered three areas which are generally identiﬁed as problems for postgraduate supervision – workload, choosing a topic and giving and getting feedback – and then it takes a more constructive tack and outline one possible model for doing it well. In this chapter the author considers what ﬁeld linguists do and how to help train them to do it. In doing so, some of his own biases will leak out, ﬁrst of which is that Collins thinks FM should include a strong language-acquisition component. In this chapter, the author defends and explains the benefits of using metaphors to teach Linguistics. Reading this book is like stumbling into a department coffee hour where all the best teachers are, without time pressure, available and willing to share their teaching philosophies and tips. Given the scarcity of such opportunities,Teaching Linguistics is useful for provoking thought about linguistics, and about how best to engage students in appreciating its complexities. This book is an incredible journey through the experiences of accomplished educators who share not only their insights but, in many cases, their actual classroom activities. An added benefit comes at the end of each chapter where the authors provide autobiographical information that further illuminates their perspectives and teaching priorities. This book is a unique text that offers educators the opportunity to reflect on their practices through the experience of seasoned professionals. This volume is, as best I can tell, the first of its kind in the vast literature on linguistics, or at the very least, it is one of the few such collections around. I found myself agreeing with the authors repeatedly on point after point, and so it is clear to me that this is a work that all of us should turn to again and again for inspiration and insight. I truly enjoyed this book, which I believe might be unique in its concept. I’ll go back to it again and again, for those specific lessons, websites, and for inspiration. KK achieves his goal: convincing the reader of his message that more students in linguistics make more future teacher-scholars.